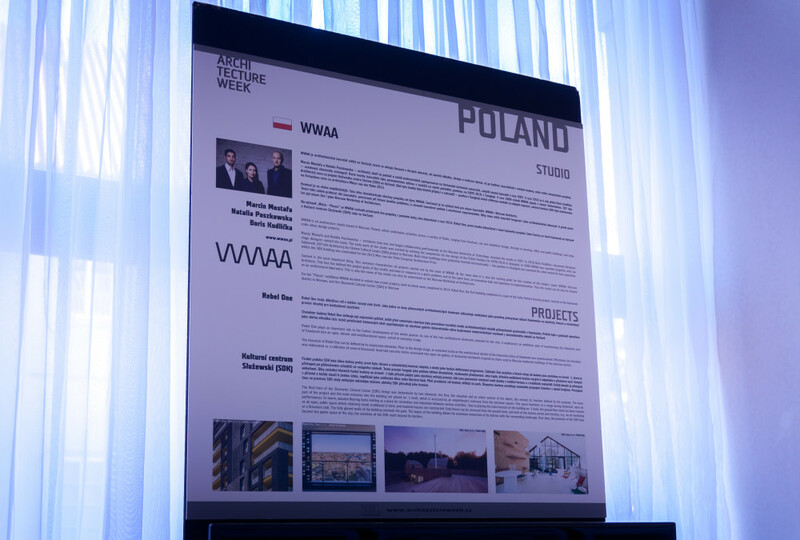 WWAA as the only polish architectural studio was invited to participate in the main exhibition of the Architecture Week in Prague, which takes place from 10 August to 18 October 2015. Architecture Week in Prague is one of the largest events dedicated to the contemporary architecture in Central Europe. Organized since 2007, the festival attracts thousands of visitors every year, both professionals and enthusiasts of contemporary architecture. As a contribution WWAA presented its two newest realisations – Rebel One and Służewski Culture Center in Warsaw.